When I think back on childhood Christmas memories, it is really the Christmas traditions that stand out the most. From the Christmas Eve reading of the Christmas Story to the favorite Christmas dishes that mom prepared for the Christmas meal, it was really the traditions that made it special. 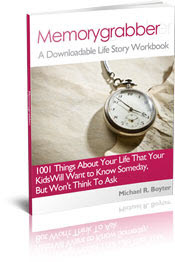 We'd wake up on Christmas morning, very, very early, and see what gifts we had received! After mom and dad would get up, we'd open the wrapped presents. It was tradition in our house for the gifts to be opened, one at a time, youngest kid to the oldest....until they were all opened. In the afternoon we'd visit the homes of aunts, uncles, cousins, grandparents etc. They'd also come visit us. 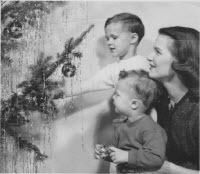 Some Christmas traditions necessarily changed, once I grew up, married and moved away. We weren't always close enough to "go home" for Christmas, but we (my wife and kids) observed a hybrid of Christmas tradition, those that I enjoyed as a kids, those from my wife's childhood, and new traditions that we came up with on our own. It all has worked out wonderfully. Once such tradition is that our kids open only one gift on Christmas Eve. They know before they even open their gifts what it will be....brand new pajamas! 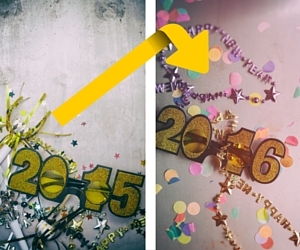 In the early years I can recall thinking how anti-climatic (and yes lame) this "tradition" would be. My wife came up with this one. But now....from our kids' perspectives, it would not be Christmas Eve without getting new pajamas. Not only do the kids enjoy hopping into bed, with those brand new pajamas, but as parents we like it because we know that a lot of pictures will be taken, of the kids, come Christmas morning. New pajamas make the pictures much better. When I think back on Christmas tradition as a child, it is hard to discount the role that Christmas songs played. Certain Christmas songs bring back the memories more than anything else. I'm sure you have some Christmas music that is more special than others too? As a child I can distinctly remember laying on my back staring up at the Christmas tree, in my pajamas. Nearby, the fireplace ... beautiful and mesmerizing and in the background ... 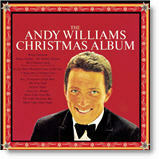 The Andy Williams Christmas Album! My parents had three vinyl records that we must have literally worn out. I loved listening to them. 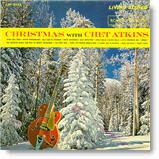 They were The Andy Williams Christmas Album, Christmas with Chet Atkins and The Gene Autry Christmas album. As an adult, I spent several years looking those three. 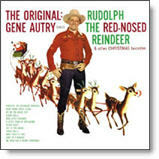 Before the Internet, it was hard finding old Christmas albums. We are spoiled now with sites like Itunes.com. Eventually I found them. I actually found Andy Williams first. It was in a bargain Christmas cassette bin at Sears. I found it just before a long drive home for Christmas from Texas to Oregon. That was a great memory in and of itself. Driving through the snowy Rocky Mountains listening to Christmas songs from my childhood...what fun! Eventually I found all of these on CD or Itunes. We get them out every year. My oldest son is only 19, but I'll be curious to see if he and the other kids seek out certain Christmas music from their youth. Have A Special Childhood Christmas Tradition or Memory? What do you remember the most from Christmas (Hanukkah) as a child? Was it the music, the food, a special gift, Christmas traditions, family gatherings or something else? Please share a special memory with the rest of us! 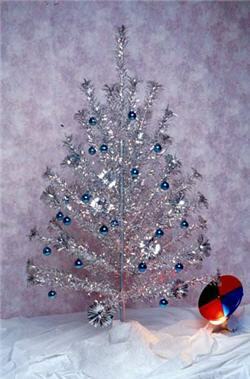 Did you ever have a silver Christmas tree like this one?